The Del-One Federal Credit will teach high-schoolers how to run their own banking kiosk at Indian River High School.. This fall, it’ll also have banking kiosk. Business students will run a satellite location for Del-One Federal Credit Union, overseen by business teacher Jeff Bunting. This isn’t a public bank branch, as Principal Mike Williams said he had initially feared. “It’s more of a learning tool for our kids,” he said. There will not be an ATM. The students will be trained to process loan payments, deposits or cash withdrawals in the Del-One network. Each day, they will update the accounts, reconcile the transactions and secure the vault. They will not open new accounts. Students and staff can pick up an application at the kiosk, but new membership paperwork would be forwarded to the Dagsboro or Georgetown branches. A banking professional will always be on-call during operating hours. The student workers will be unpaid interns. The upperclassmen must be enrolled in one of the school’s three-year business pathways. Should people feel comfortable having private financial information on campus? “Del-One is going to place our student tellers in the same training program that they place their professional tellers. … We have a vault, and we will be following the internal and external controls that Del-One follows for all cash management,” Bunting said. IR students already take the business pathway seriously. IRHS has a strong Business Professionals of America (BPA) club, which routinely has students who qualify for national competition. That’s the caliber of students operating the kiosk. The students are excited, Bunting said. “I think this is a great opportunity to really take this to the next level, where we’re not just talking about what finance looks like — you’re getting hands-on experience. … Literally, you are working a job,” Bunting said. They hope to open the kiosk in the fall, likely just during school hours or mealtimes, since the teacher must oversee day-to-day operations. Del-One will provide the vault, computers, software, training and insurance to protect the bank and school from criminal activities. They’ll also transport deposits between the school and bank. IR will spend $13,000 to provide the kiosk, furniture, telephones and internet access. “There’s no cost locally for this program,” said Williams, who has gotten federal funds specially allocated for career-prep programs. It’s a win-win situation. Del-One gets trained staff, and students get experience for college, a summer job or a competitive advantage when job-hunting. IR also needed more internship opportunities for its newest business program — the National Academy of Finance. Del-One piloted the kiosks with Glasgow High School, and they are still operating in Dover and Caesar Rodney high schools. Banks often visit schools to lecture on financial literacy. But, here, students can learn from their friends and peers, where they might sometimes glaze over in adult presentations. Credit unions are not-for-profit organizations serving people with a common bond. 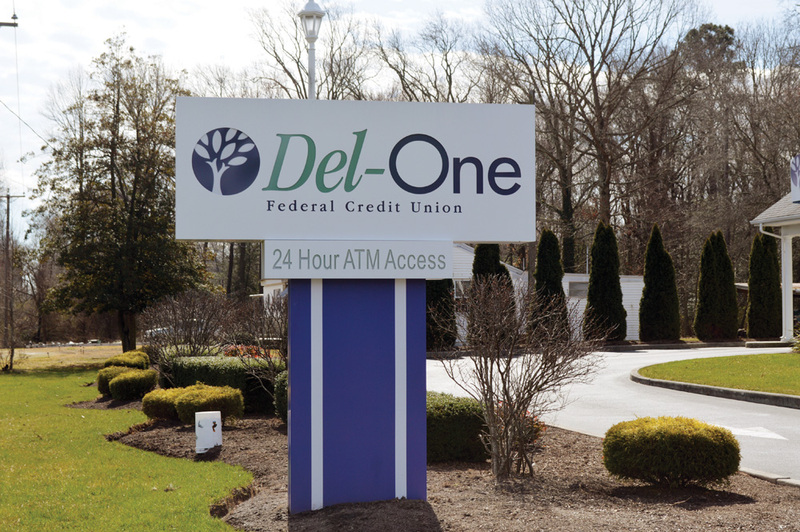 Del-One Federal Credit Union is a member-owned, financial cooperative with roots going back to 1960. Profits are returned to members through dividends, low rates or expanded services. There are also youth incentive programs for students, such as cash back for good grades and prizes for making deposits. Del-One will also pay the first $5 (mandatory minimum) into student savings accounts. Details are online at www.del-one.org. Savings accounts are open to people of any age. Checking accounts are available for those 13 or older with a parental chaperone on the account. Credit cards are available at 18. It also brings future customers for the credit union. “It’s not a goal of ours to open accounts. … When you open an account with savings and checking, it’s not really profitable. Yes, we’re opening accounts, but the core of this program is financial literacy,” said Garcia-Korosec. Are there concerns about students having easy access to money, with potential for bullying or friendly coercion? First, Garcia-Korosec said he hopes the student would report any such intimidation. But, he added, “We can’t expect to limit the availability of program like this to an entire student population because something might happen. It would limit the possibility to learn.